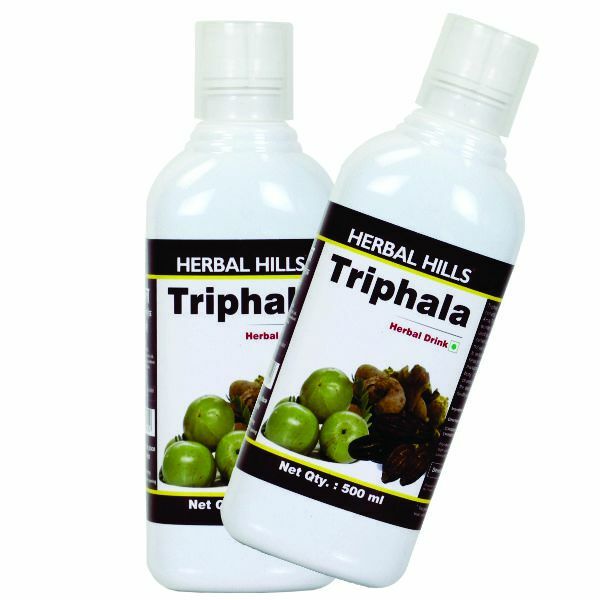 Triphalahills Juice - 500 ml - Health Digestion - Triphala Juice is a herbal blend of Haritaki, Baheda, amla & Aloevera - In Ayurveda, Triphala (Haritaki, Baheda, Amla) has been historically used as a digestive cleanser and tonic. This has been backed up with numerous modern scientific studies demonstrating the positive effects of its component herbs on the gastrointestinal tract. - Triphala has been shown to be a Tridoshic Rasayana (Ability to balance Vata, Pitta, Kapha), potent antioxidant, protecting cells against the damaging effects of free radicals. - Aloe vera is considered to be a nutritional storehouse. It acts as an immune booster and as an antioxidantBenefits : - Helps to promote good colon health. - Helps in removing toxins from the body & increase the energy. - Helps to accelerate cleansing activities in the digestive system against gas, bloating, constipation - Helps to provide overall support for the digestive functions.